Dallas—A couple kisses after getting engaged during a panel at Con of Thrones. 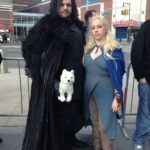 Dallas—A Con of Thrones attendee dressed as Tormund Giantsbane shows off during the costume contest. Dallas—A cosplayer combined Game of Thrones and Black Panther for his costume. Seljavallalaug—One of the oldest pools in Iceland, which is tucked away near the foot of a mountain. Vatnajökull National Park, Iceland—Ice at Jökulsárlón extends past the water. Southern Iceland—A person looks on just outside of an ice cavern. Sólheimasandur—Sand is carried by the wind just behind an abandoned US Navy DC plane that crashed onto the beach in 1973. Sólheimasandur—A tourist stands on top of an abandoned US Navy DC plane that crashed on the beach in 1973. Sólheimasandur—The pathway leading to an abandoned US Navy DC plane at sunset. Brúarfoss—View of a less frequently visited waterfall during snowfall. Northern Iceland—Fumaroles of Námafjall Hverir. 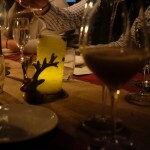 Northern Iceland—The boiling mud pools of Námafjall Hverir. Northern Iceland—Grjótagjá, a small cave with a hot spring. Northern Iceland—Volcanic rock at Dimmuborgir. Northern Iceland—Viewing a structure that featured in Game of Thrones. Northern Iceland—The powerful waterfall Goðafoss. Northern Iceland—The sun rises just off of Ljósavtn. Northern Iceland—Driving the Ring Road at dawn. Reykjavík—A view of the city from the top of Hallgrímskirkja. 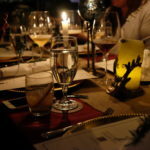 New York—Table setting at a Game of Thrones-themed dinner. 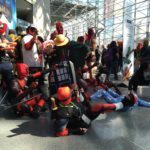 Javitts Center—Numerous Deadpool cosplayers gather for a photoshoot at New York Comic Con. 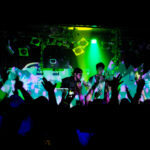 Times Square—Guest DJ Zedd Stark performs his set at Rave of Thrones on Oct. 11, 2014. 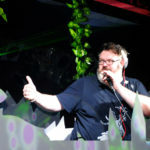 Times Square—Kristian Nairn gives a thumbs up at the end of his DJ set on Oct. 11, 2014. 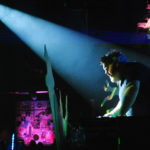 Times Square—Kristian Nairn plays a DJ set at Rave of Thrones on Oct. 11, 2014. Anaheim—Lia Marie Johnson poses at VidCon. Anaheim—Rhett McLaughlin, left, and Link Neal pose at VidCon. 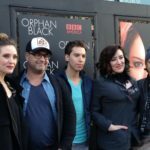 Manhattan—Evelyne Brochu, Graeme Manson, Jordan Gavaris, Maria Doyle Kennedy, and John Fawcett pose at the ‘Orphan Black’ fan screening. 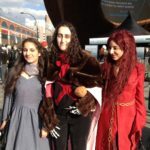 Brooklyn—Cosplayers dressed as Talisa Stark, Roose Bolton, and Melisandre pose at the ‘Game of Thrones’ fan screening. 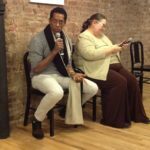 Manhattan—The Daily Dot’s Aja Romano hosts a fan panel with Orlando Jones at Tumblr HQ. 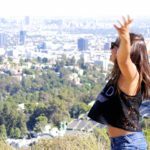 Los Angeles—Jamie Kapili is caught in a moment on the Hollywood Bowl Overlook. 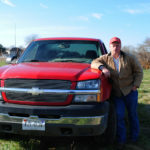 Pilesgrove, N.J.—Grant Harris, the owner of Cowtown Rodeo, poses on his property. Mullica Hill, N.J.—Ava is the unofficial mascot of Murphy’s Loft Books. 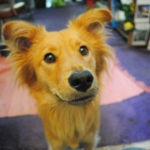 Her owner, Sallie Murphy, calls her the Texas Retriever. 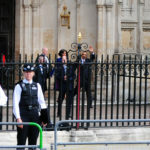 London—President Barack Obama and Michelle Obama wave to the crowd of citizens and tourists at Westminster Abbey on May 24, 2011. 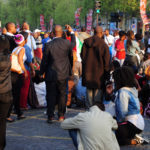 Paris—Protesters begin to rally against France’s role in the situation in Ivory Coast on April 11, 2011. 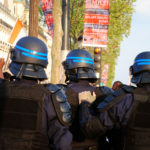 Paris—The Metropolitan Police prepare for crowd control during a protest on April 11, 2011. 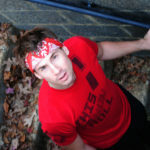 Glassboro, N.J.—Carl Campbell contemplates his next move in a stairwell at Bunce Hall on October 31, 2010. 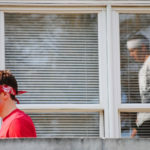 Glassboro, N.J.—Gabe Arnold observes the rest of the Parkour Club perched on a wall at Hawthorn Hall on October 31, 2010. Glassboro, N.J.—Nick Huddy leaps over Carl Campbell at Hawthorn Hall on October 31, 2010. Glassboro, N.J.—Carl Campbell, left, and Nick Huddy on October 31, 2010.